.30-06 BLANK FOR M1 GARAND. We are currently running about 4-5 days behind on this item. .30-06 blanks designed to run in USGI and "Hollywood" BFA's as an exact copy of USGI M-1 Garand blanks. 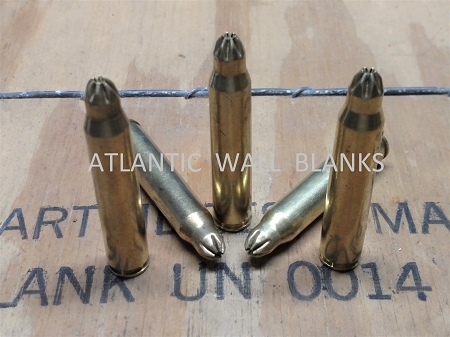 Our In-House made .30-06 is a 100% duplicate of the M1999 U.S. military blank and the Prvi M1999 blank that we also sell. .171 - .187 BFA recommended on the M-1 rifle.